DO NOT use for Hard Candy making or other hot ingredients as they will not withstand extremely high temperatures. Cleaning instructions: Wash in warm soapy water ( NOT DISHWASHER SAFE - DO NOT put moulds in the dishwasher). Museum quality, accurately designed replica of a brachiosaurus dinosaur. Made of soft PVC with synth..
Museum quality, accurately designed replica of a deinonychus dinosaur. Made of soft PVC with synthet..
Museum quality, accurately designed replica of a Mammoth. Made of soft PVC with synthetic fibre fill..
Museum quality, accurately designed replica of a triceratops dinosaur. 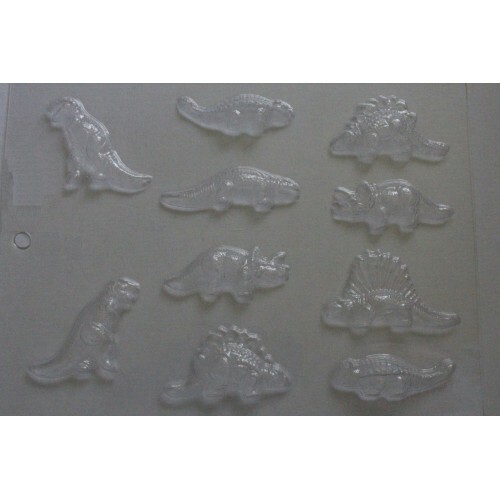 Made of soft PVC with synthet..
Museum quality, accurately designed replica of a stegosaurus dinosaur. 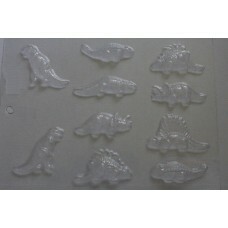 Made of soft PVC with synthet..
Museum quality, accurately designed replica of an Iguanadon. Made of soft PVC with synthetic fibre f..